Come explore the amazing trails of Hockley Valley in the company of others who share a passion for trail running. Whether you are new to the trails or are an established trail runner, this camp has something for everyone, including structured and non-structured runs, and interactive sessions covering topics such as training, injury prevention, strengthening activities, nutrition, proper trail running technique and more. Registration includes 2-night accommodation at the rustic and charming Ecology Retreat Centre, 5 catered meals, registration kit and draw prizes. Sessions include: run technique, injury prevention, training plans, nutrition-strengthening exercises and more! Cost starts from $340. Led by Jennifer Faraone, avid trail runner, coach and competitive athlete. 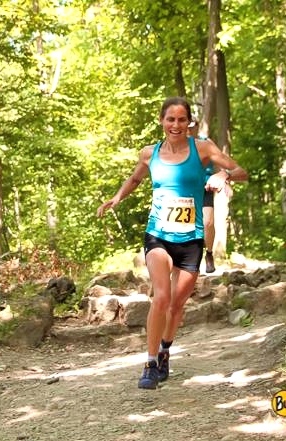 She also leads series of trail running clinics in GTA. Previous trail running experience not required, however the ability to run 10km is strongly suggested. To register, email me at runningthetrails@yahoo.ca; registration form and payment to be received in order to secure your spot.